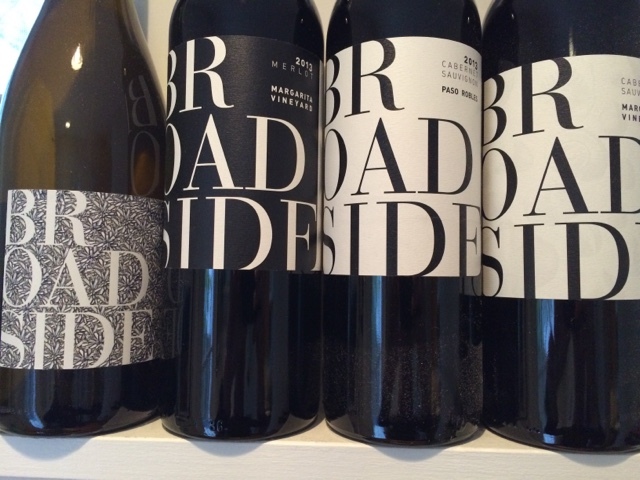 Broadside Wines has been making a bit of a splash in the wine media of late. Harvesting at lower sugars with native yeasts and minimal oak, their wines aim for finesse and balance, aspiring to do justice to a good meal. But here's the thing: they're in California. In fact, they're based in Paso Robles - a region that has lamentably become synonymous with bombshell reds, lofty sugar levels, and boom-boom alcohol. With this buck-the-establishment approach, proprietors Stephy and Brian Terrizzi have found a foothold in the growing West Coast movement towards restraint and purity. 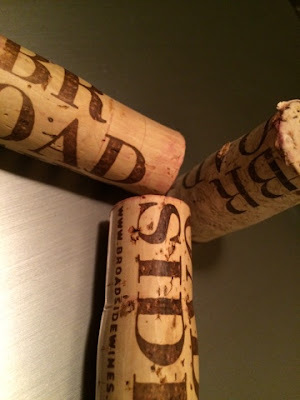 Though their Paso Robles cabernet has been enjoying critical attention of late, the lineup of samples reviewed here showcase two other wines worthy of your search: the Wild Ferment chardonnay from Edna and the merlot sourced from the Margarita Vineyard. Best look for them soon. Because the applause is only likely to get louder. Before we get into the particulars about each of the wines, a brief, but noteworthy comment about the pricing of these wines. It has been a long, long time since a batch of samples has come into the Winethropology HQ with a ceiling of $25. Reflecting on the overall quality of this batch, it's reassuring that wines of this caliber are still available below the stratosphere of pricing (especially from California). Napa, you should be ashamed. Sourced from the Edna Valley close to San Luis Obispo, the seamless texture of this chard supports creamy, freshman-weight fruit. A gulper if there ever was one, but not without a worthy tangent or two down the long, easy finish. Very enjoyable at room temp - a strong indicator of benchmark quality, particularly at this price. Endearing for its freshness and bright honesty. Luminous fruit and lilting herbal aromatics framed by direct, but delicate acidity. Strongly evokes Provence. Deftly hiding its 14.4% ABV. Succulent and fantabulous. Extracted and monolithic, with candied bing cherry syrup. On day two it unwinds and reveals secondary nuance of pretty floral spice. A bright, lean, athletic structure dominates the attack, with secondary service to the poised cabernet elegance. Clearly in repose awaiting its comeuppance in a few years. In the meantime, expect superfine tannins wrapped over the lithe body. Lip-smacking. Would love to revisit in another decade.